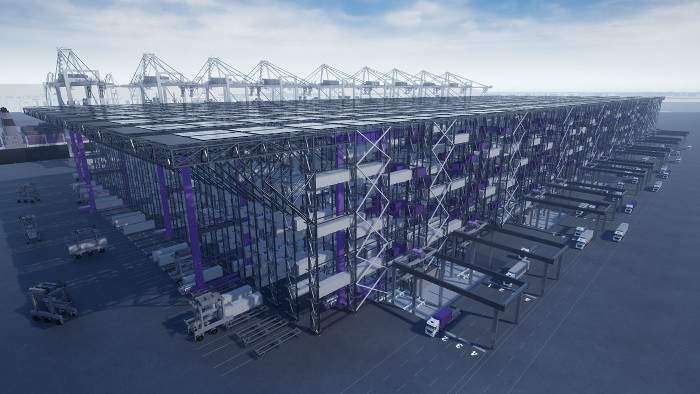 Hamburger Hafen und Logistik AG (HHLA) has further developed its container terminal in the Port of Hamburg with the expansion of its rail terminal. 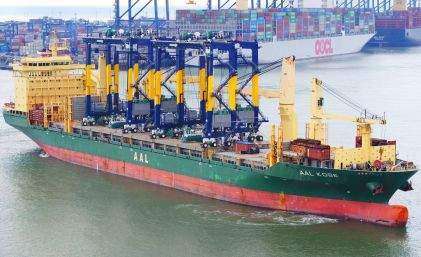 The expansion is expected to increase the rail terminal’s capacity by approximately 200,000 standard containers (TEU) to around 850,000 TEU per year. Two extra tracks and two new rail gantry cranes have been added to the rail terminal at the Container Terminal Burchardkai (CTB). The rail terminal now has ten tracks. It previously had eight. The longest trains permitted (measuring in at 740m) can be processed on every track. The second of the new cranes went into operation on 18 January. It is the fourth crane operating on the terminal in total and the final component of the expansion. Two rail gantry cranes will serve five tracks each. Two of these cranes have been newly purchased and designed by the manufacturer Kocks Ardelt Kranbau in close cooperation with HHLA. The German Federal Railway Authority contributed towards the costs of the € 13 million expansion project through a programme designed to promote combined traffic. HHLA also intends to invest in the expansion of its terminal facilities and in the extension of intermodal transport and handling capacities in the future. By 2022, the company intends to invest a total of € 800 million in the Port Logistics subgroup, of which € 450 million has been earmarked for the Container segment and € 350 million has been earmarked for the Intermodal segment.